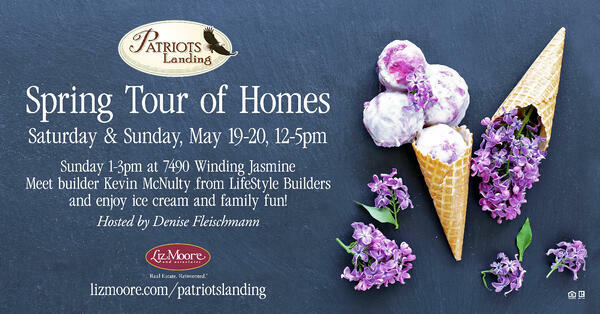 Join us for a Spring Tour of Homes in Patriots Landing May 19th & 20th from 12-5! Meet Kevin McNulty from LifeStyle Builders on Sunday and enjoy our free ice cream truck. At Patriots Landing in New Kent County, experience the serenity of living in a rural environment and the convenience of being only fifteen minutes from downtown Richmond. A planned, new home community of custom and waterfront homes located near Interstates 64 and 295, Patriots Landing is close to shopping, dining and entertainment, both in the Richmond and Williamsburg areas. With private, wooded homesites and plentiful amenities, Patriots Landing has so much to offer! Interested in a brand new home in Patriots Landing? Download the price list below.